Dehradun Cantt. is constituency No. 21 of Uttarakhand legislative assembly. It is situated in Dehradun district in Garhwal region of the state. It comes under the Tehri Garhwal Lok Sabha constituency. It is an open constituency. Uttarakhand has 70 assembly constituencies. According to data with the Election Commission of India, Dehradun Cantt. has 1,02,402 registered voters. It comprises 54,307 male and 48,095 female registered voters. The BJP defeated the Congress by 5,095 votes to win this constituency in the last assembly elections held in 2012. Harbans Kapoor, the winning candidate from BJP, bagged 29,719 votes. 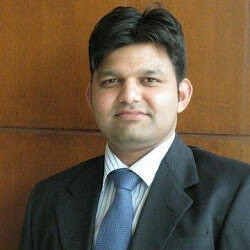 The runner-up was Devendra Singh Sethi of Congress who got 24,624 votes. The voter turnout was 61.55 %. Below is the list of winners and runners-up in the Dehradun Cantt. assembly elections conducted so far.